The ProForm Performance 650 Treadmill is driven by a 2.25 CHP motor and has a maximum speed of 18 kmph. It comes with an elegant space saver folding frame and also has comfortable ProShox Plus cushioning running deck for a smooth workout. To make your workout more intense, the ProForm Performance 650 Treadmill supports a maximum inclination of 10% and 15 different pre programmed workout programmes. It also has many other additional features like iFit Live compatibility, EKG pulse grips, Polar T34 chest belt, transport wheels etc. The latest cost of ProForm Performance 650 Treadmill will be updated soon. *Note: Most of the sites, stores or shopping portals listed above sell ProForm Performance 650 Treadmill with discounts and other exciting offers. 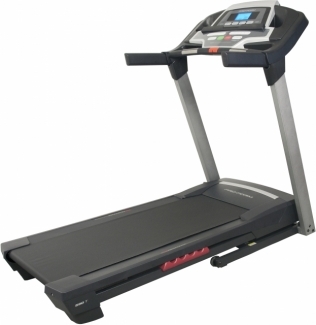 There is a possibility that the some of above websites are not selling ProForm Performance 650 Treadmill now. Toughtrain.com is not liable for such cases or instances. Also we do not recommend any seller for ProForm Performance 650 Treadmill and a buyer should buy from where he/she gets best deal with quality of products, service and on time delivery (shipment).